Mayugba has been a very familiar face in Midtown at least since he first popped up in Phallucy and Daycare, mainstays of Sac’s early nineties rock scene. He became even better known for his involvement in Heckler– a local skating/snowboarding mag that ‘went global’ with a devoted worldwide paying (!) readership. 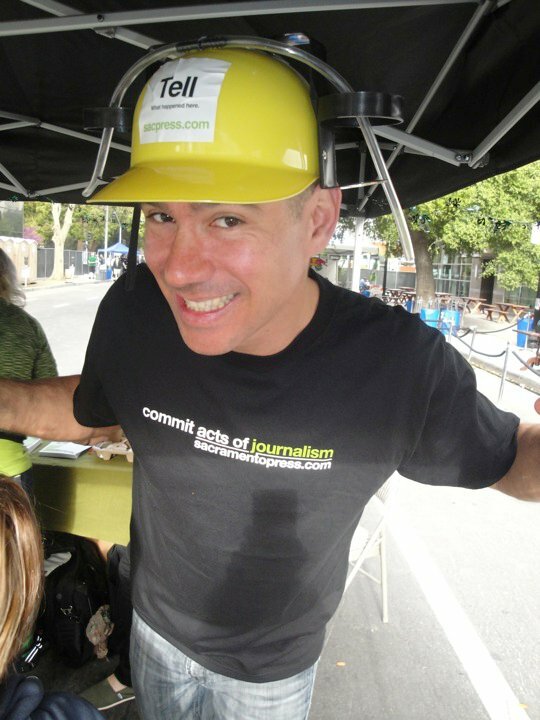 These days he’s involved with a non-print publication, SacramentoPress, where he seems to wear many many hats. I last saw Sonny at DeVere’s St Patty’s day party where he was sporting the beer-friendly hard hat above. Best thoughts to Sonny and family for a speedy recovery!